Social media is full of business and marketing related posts. On Instagram, Pinterest, Facebook, Google+, Twitter, and other social networking sites, companies are busy in sharing their offers, product descriptions, and service features. In this endless battle, it is hard to stand out. Quality, stylization, and market trends are the three elements that can give your posts a new boost. 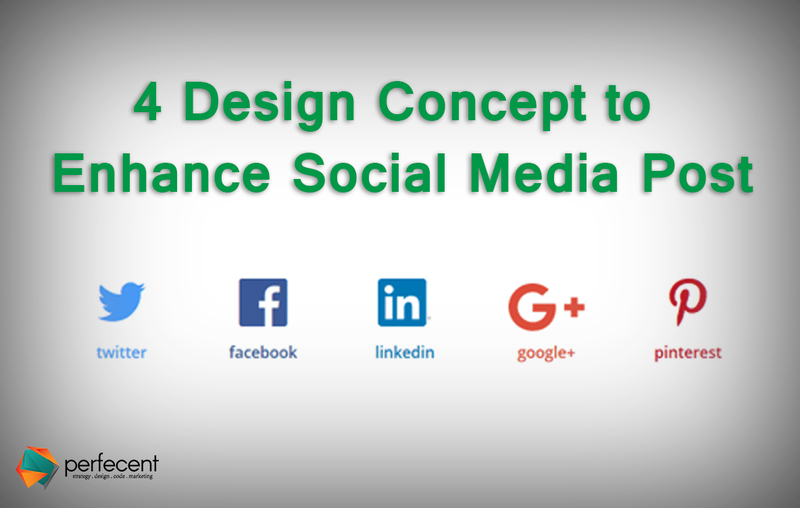 For designing a perfect post for social media that can efficiently enhance traffic and ROI, it is mandatory to have some knowledge of basic design concepts. These design concepts will make you understand that for your niche what kind of way is better. The study reveals, 90% of people judge things on the basis of their color. Interestingly, color is one of the essential concepts used in designing that allows to grab attention, conveys sentiments, set the temperaments, and sometimes evoke the experience of an individual. The impact of color on the human psyche is strong enough to affect your post. Therefore it is imperative to choose a color according to the persona you’re representing. Realism theory is a movement initiated in the 18th century, widespread with the introduction of photography that allows people to produce real depictions of things. Realism art is considered as a backbone of modern designing that allows you to present things accurately or realistically. The goal of realistic designing is to enable viewers to identify what the thing is and how they can interact with it. In realism more elaboration is needed, drop shadows, bevels, stamping, inclines, complex colors, highlights or other tools are used to enhance the depth of the image. For interior products, decorative products, and luxury products realism idea is perfect because it allows showing a real picture of the product and people are convinced that the product looks the same so they prefer to buy it. Another vital designing concept is Minimalism – “less is more” approach that suggests, ‘adding only relevant information while eliminating the needless things from designs.’ It could be the extra use of color or big fonts. The idea suggests straightforwardness that goes against to the maximalist designs which emanate the feeling of moderate luxury. Commonly, in non-minimalist designs, more color, stylish elements are used for product’s elaboration. Most of the service providers and technical products merchandisers prefer minimalism approach for marketing and social media postings because it emanates a feeling of relaxation or grace. Therefore, Individual when choosing a minimalist design should keep aside all intricate things that he/she thinks as an additional or can bother viewers’ mind.